Sometimes you gotta do what you gotta do. And sometimes what you gotta to do is…chocolate. Sometimes it’s just not negotiable. A week or so ago, I saw this healthy peanut butter cup recipe from Fit Foodie Finds on Facebook. Within 30 minutes, I had a batch of them in my freezer. I made them with cashew butter to keep them paleo and they were amazing. I can’t recommend them highly enough. After I polished them off (it didn’t take long) I decided to make another batch of healthy paleo chocolate cups with my own twist. 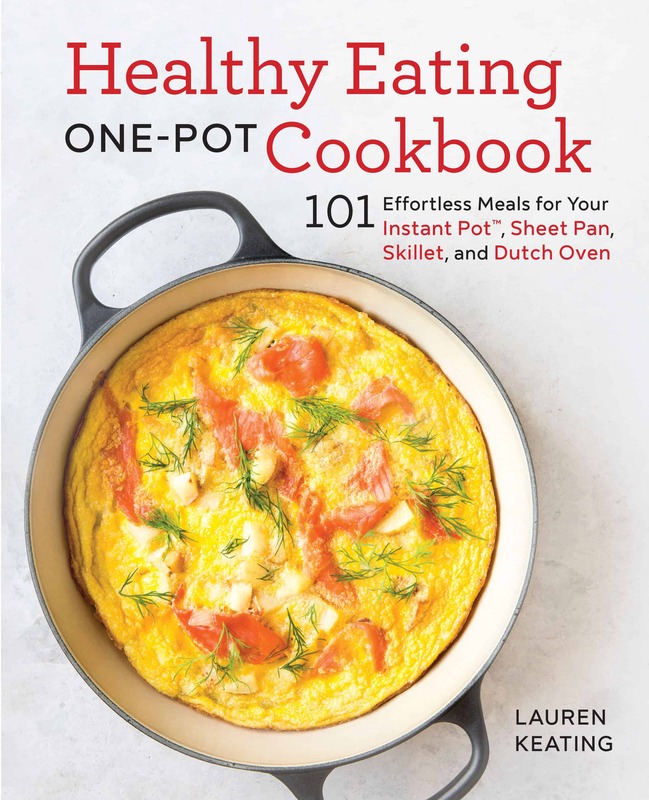 I didn’t feel like fussing with multiple flavor layers, so I mixed everything together. Instead of using nut butter, I used coconut butter for a Mounds bar vibe. And I topped each cup with a smattering of frozen cranberries for a sweet-tart kick. 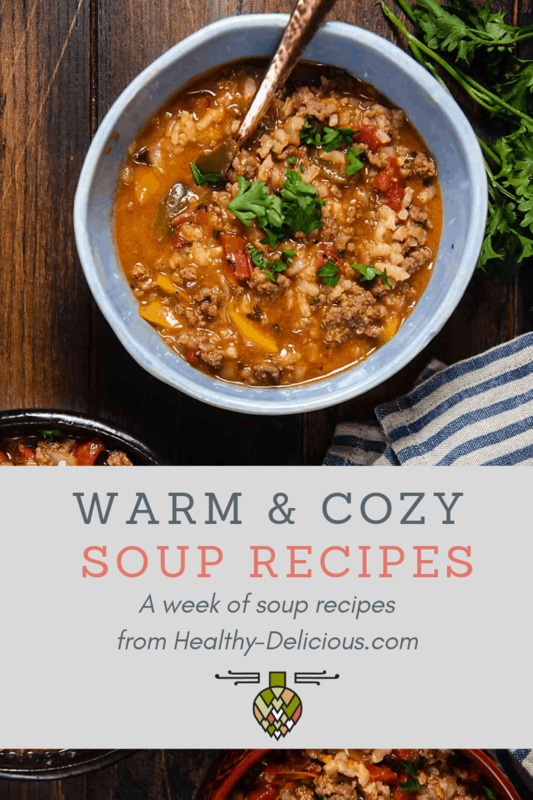 If cranberries aren’t your jam, or if you can’t find them this time of year, frozen raspberries or chopped strawberries will also work beautifully. 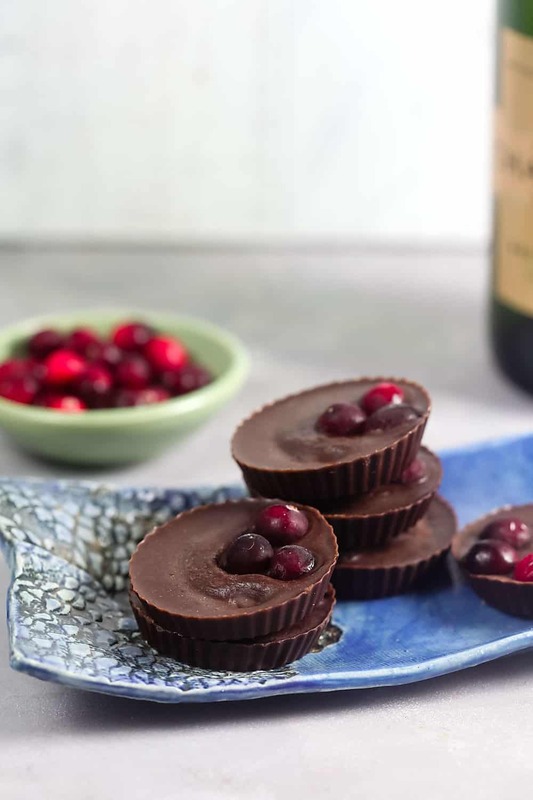 These Coconut Cranberry Chocolate Cups are so good, and they’ve been great for satisfying my sweet tooth. The unsweetened cocoa powder is rich and dark, but it gets mellowed by a touch of maple syrup. 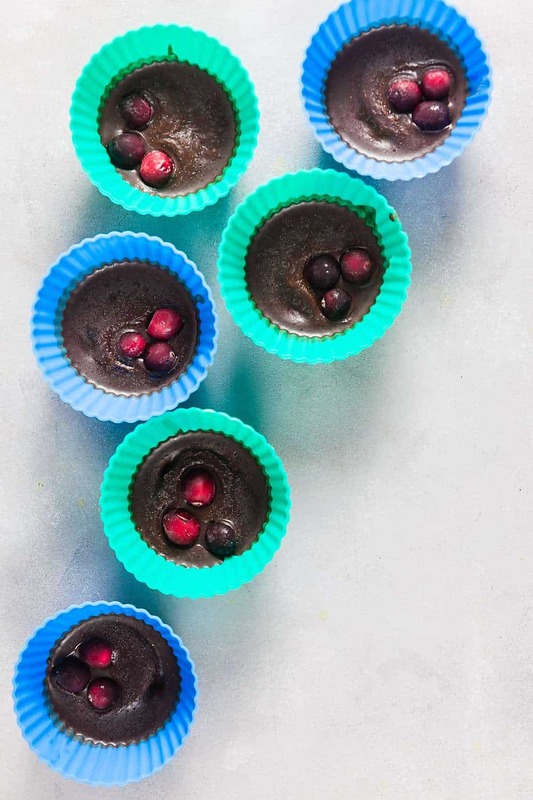 Coconut oil gives these paleo chocolate cups a smooth, melt-in-your-mouth texture similar to milk chocolate. So, the flavor of dark chocolate with the creaminess of milk chocolate – it’s the best of both worlds. I won’t pretend that these are a health food per se, but they’re leaps and bounds better for you than sugary convenience store candy bars when you need a treat and they taste just as good as the fancy chocolates from my favorite homemade chocolate shop. Line a muffin tin with 6 silicon liners (or paper liners sprayed well with cooking spray). In a medium bowl, combine the coconut butter, coconut oil, cocoa powder, maple syrup, and vanilla extract. Season to taste with a generous pinch sea salt. Spoon two tablespoons of chocolate into each muffin liner. Give the muffin tin a good shake to help the chocolate settle and get rid of any air bubbles. Drop 3 cranberries onto each cup. Freeze for 30 minutes, or until firm. Remove from the liners and store in a zip-top freezer bag. I love that this is only 6 ingredients. I need to try to use coconut more often. It’s great paired with chocolate.